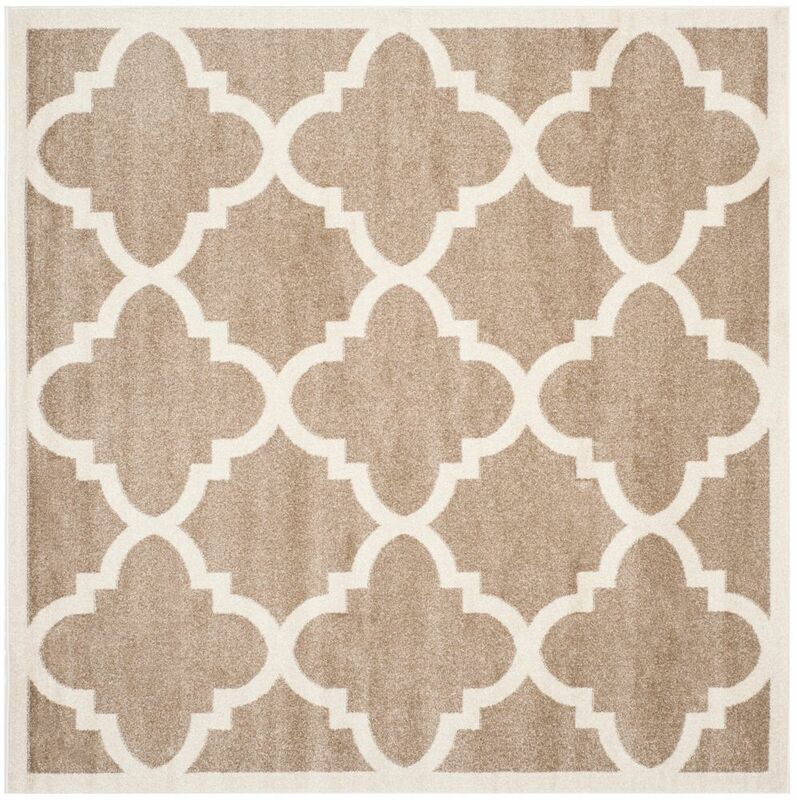 Amherst Aidan Wheat / Beige 7 ft. x 7 ft. Indoor/Outdoor Square Area Rug Coordinate indoor and outdoor living spaces with fashion-right Amherst all-weather rugs by Safavieh. Power loomed of long-wearing polypropylene, beautiful cut pile Amherst rugs are made to stand up to tough outdoor conditions, but designed with the aesthetics of indoor rugs. Use these family-friendly geometric designs on patios, in kitchens, busy family rooms and other high traffic rooms. This is a great addition to your home whether in the country side or busy city.